A self-contained, portable pumping system for transferring material between drums, pails, or directly to the court surface. 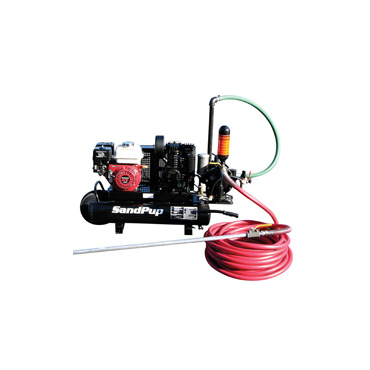 The SandPup II can also be used for spraying coatings like CushionMaster and TrackMaster Plus. View In Catalog E1630 480 lbs.